Well, it’s not technically a review. I entered Coffee House Memories in the Writer’s Digest Self-Published Book Awards competition this year. 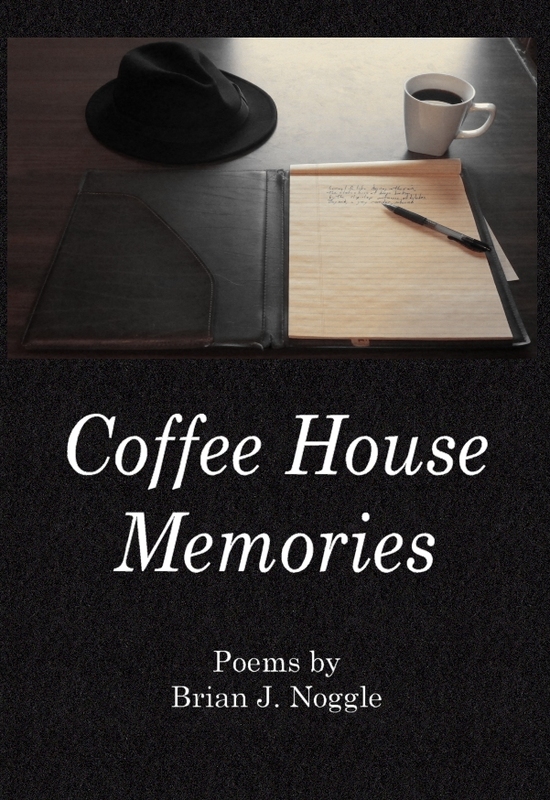 In Coffee House Memories, a book of poetry by Brian J Noggle, we are presented with a tour of the speaker’s mind and heart, a journey that moves from immaturity to maturity to that delicate balance we strike when we look back with fondness or regret on our past selves. The title for this collection seems to this reader to be bland, missing an opportunity to more evocatively cast a tone for the collection to come. The book is broken into sections which helps the reader to navigate through the various themes and ideas that are presented throughout. The poetry here is formal, adhering to set rules and forms, but this does the subject no real service. Form is a useful tool, can be a worthwhile constraint that gives the poem shape and substance while pushing the writer into nuanced phrases and word choice that might not have been available otherwise. Here, however, the form is a kind of lockstep that forces the writer into clunky language and line. The overall design of the book is professional. It features an interior layout that is crisp and clean with text design on each page that is readable and presented soundly. It may seem minor, but getting the interior in order is an important step in getting the reader hooked! Also, the cover image for the book is straightforward and relatable. Well, it sounds a lot like what Dr. Berry said in my poetry class at the university. I did improve upon my sonnets from that era, though. And I got really good scores for my book design. That must be a product of years of designing technical documentation or something. Still, I guess it’s about what I should expect. Maybe some of the lines are clunky, but the book includes some really good poems, too. You could take my word for it, gentle reader, or you could spring $.99 for a Kindle copy and see for yourself. It took me a couple tries to get through this book. A couple years ago, I stuck it in my gym bag as my carry book, and I read it at the martial arts school before class. I even read the first poem, “Little Orphant Annie”, to my children, and they were interested in the Gobble-uns at gits you eff you don’t watch out. But I ran into an excerpt from “A Child’s Home–Long Ago”. This particular excerpt runs six pages. Which, in retrospect, is not very long, but I’m not generally a fan of long poems (the longest in Coffee House Memories , “Homecoming ’93: A Collage”, runs five pages, but it’s narrative). The long ones that really choke me are the ones written by the Romantic poets, where it’s ten pages of landscape. Brothers and sisters, I prefer paintings that have people in them, and I sure tooting need something more than a litany of flowers if a poem is going to be more than twelve lines. The excerpt of “A Child’s Home–Long Ago” starts out landscapy, with a description of the home, and I must have abandoned it before it got to describing the children and the other people they interacted with long ago. It got better, and I made it through the poem and the book. James Whitcomb Riley rose to infamy by penning a counterfeit Poe poem, but he managed to make do on his own as a journalist and writer. 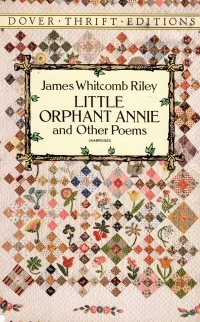 His poems make great use of the vernacular, as the refrain of “Little Orphant Annie” proves out, which makes reading the poems a little fun. He’s got a good sense of rhythm and does tell little stores in some of his poems, which makes them more engaging than mere word pictures. I ding the Romantics again because I’ve started reading Keats and Shelley, who wrote only, what, sixty or seventy years before Riley, but whose poems read much older. Or perhaps Riley’s just read that younger. Riley, relative unknown in the 21st century, must have punched quite above his weight in the pop culture of the day, though. The title poem of this collection spawned comics in the papers and a musical play made into a movie several times. Raggedy Ann dolls, which were popular up into my childhood, were named for the poems “Little Orphant Annie” and “Raggedy Man”. Crazy. You don’t get many toys or comics named after Maya Angelou or David Clewell poems these days, ainna? So I enjoyed the book and wouldn’t mind getting my hands on a more comprehensive volume sometime. This book is a little Dover Thrift Edition, which was what we had instead of inexpensive POD and Kindle versions of classic works back in the old days. For a buck, you could get a collection of classic poems or a longer work that had fallen out of copyright. They’re still available, apparently, for just a couple bucks. Dover in the 1990s must have been the Walter J. Black of its time, with its minting money in classics and in clip art books. Like book clubs of classics, though, its main time of success must have been limited. Back in my coffee house days (yes, those very ones which produced the poems within Coffee House Memories), I hit numerous open mike nights around town, and attendees knew what to expect from me, from sonnets to ending with the poem “An Evening Walk.” I would mix in some “covers,” where I would recite a poem by another poet or even cool prose from someone like Raymond Chandler. That’s not how I did it, though. I’d sign my name on the sign-up sheet, and when the MC would call it, I’d go to the stage or the microphone with slumped shoulders, clutching a set of papers shyly, and I’d warble my voice breathlessly into the microphone, “This is a, um, sonnet” as though I were suffering stage fright (which Edna St. Vincent Millay herself did–she was known to take a belt before readings). And then I would throw the papers aside, leap from the stage or in front of the mike, and shout/snarl the first ten lines like a challenge to fight Cupid waving my fist in the air. Then, I’d deliver the last two lines like an aside. Less formally than Edna St. Vincent Millay herself would have done. I wouldn’t need to pick up the prop papers I brought, though, as I had whatever I was going to perform memorized. Ask me someday how long it takes to recite Eliot’s “The Love Song of J. Alfred Prufrock” at the Venice Cafe. Good poems, good memories. Like my book! For the second time this year, human body parts have been found at a location named in my poetry. A body found floating in Okauchee Lake near Road J on Oct. 26 appears to have been missing its head, part of an arm and a foot, if a photo circulating on social media is to be believed. and breaks the solid black that is the night. but life or rooms beyond I’ll never know. One light does not a utopia make. and now, for me at least, it is too late. If anything happens six miles south of Tonica, Illinois, I will probably be interviewed. Weird that “Okauchee Light” did not appear in one of my chapbooks from the middle 1990s. It will appear in my forthcoming volume Coffeehouse Memories, due out whenever I get around to it. As you might know, gentle reader, I met my beautiful wife on the Internet when I posted a poem on a Usenet newsgroup (ask yer grandpa), and she liked it (fuller story here). This is the poem I posted (and which should appear in a forthcoming volume of poetry when I get around to finishing it up. Exploring, we discovered Bee Tree Park. where neon graffiti was worn to earthen tones. The slow Mississippi whispered by. and sip the summer breeze. The whole scene and setup would definitely be less romantic with a severed human foot in it. My goodness, how awesome would many of Kipling’s works be in heavy metal form. Just think of “If” or “The Gods of Copybook Headings” really loud. Frankly, I’m surprised Iron Maiden hasn’t already done it. If anyone needs me, I’ll be in the parlor practising the power chord on a cheap acoustic guitar. 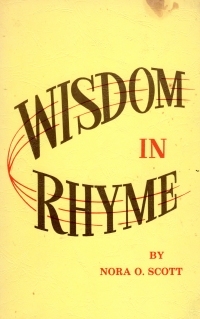 This book was published by Hallmark back in the day when your grandmother or great grandmother might pick up a little light book of poetry as a gift for someone and maybe take a little try at verse herself even though she left school in the eighth grade to take care of her younger siblings. And her poems were better than the stuff written by kids in the English program in college because sixth graders back then were better read than contemporary college-educated folk. But I digress. 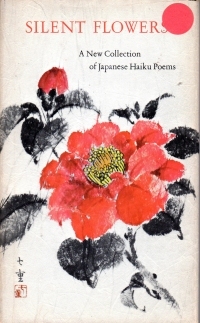 The book is, as you might expect, a slim collection of haiku poems. They’re translated from the Japanese, so the actual 5-7-5 syllable count is off on many of them. But they’re in the proper haiku style, where they provide an Eastern koan sort of thought designed to spur your musing or to trip your own experience with what they’re discussing instead of creating an experience for you. However, it’s not best to sit down and read them all at once, as they’ll seem very repetitive if you do. On the plus side, I can now say I prefer the haiku of Bosun to Basho, which will be nice and will impress anyone who earnestly asks. Are there any haiku in the book of poetry I keep talking about publishing? Yes. And I’ll have to remember to add this one. 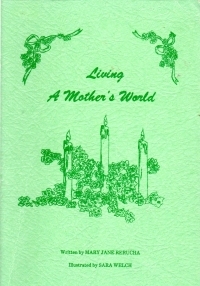 This book is a small, self-published collection of poetry by a Midwestern farm wife circa 1976. It’s on some very nice paper stock, so it probably cost a pile to print. The woman was committed. It is broken into three sections: poems about family and motherhood, poems about landscape and the natural world, and poems about other things, like church. The poems are decent; some are rote sorts of poems like you get when someone sits down and thinks, “I should write a poem about x.” The poem celebrating the flag is like that. Others have good sense of rhythm and good rhyme schemes. The poems I enjoyed most were in the first section, poignant thoughts about growing children and looking back at them. I’ve decided I feel the same way about poems as I do about paintings: I prefer to have people in them and don’t really enjoy landscapes unless there are human figures in them. Which might be why I have so much Wordsworth around but haven’t read much of it. As I read this, I thought about the number of magazines that I take that still publish poems. Since I did not renew National Review (too expensive), I’m down to Chronicles and First Things. The poems I see in them don’t touch me, generally, any more or less than the poems in these collections I read by unknowns.At any rate, a good collection of poems by a normal person. One or two of them might have been worth tearing from the paper or a magazine and putting on your refrigerator or cubicle wall. Which is about the best you can expect of any poet, really. So I Wrote A Poem…. I was struck pretty instantly with an idea: update Rudyard Kipling’s “Tommy” by re-writing it from the perspective of a cloned cyrogenically preserved mercenary called a Canny. Okay, the name came first and the conceit almost instantly thereafter. Man, the idea came fast, and I wanted to do it, but I was a haunted man this summer. Timing on various and sundry life activities left me little time to complete projects that I wanted to do. I’d started painting the interior of the house, but didn’t finish, leaving a room half painted; I’d meant to refinish my deck, but I’d only done the inside of the deck, where I could see it on the deck; I have a couple of items on the to-write list that I could certainly place if only I sat still long enough to write them; and so on. I wasn’t finishing anything I started. I was almost paralyzed with self-doubt regarding this idea for a poem. I mean, in the old coffee shop days, I filled legal pads with sonnets and poems, easily scratching something out in an hour if I wanted to or felt inspired. But lately, writing something is harder than pulling middle-aged teeth as the infrequency of this blog attests. Somehow, a gap emerged between the inspiration/idea and the effort to carry it through. I did a little research to procrastinate: I ordered one of the earlier volumes of the series to see what kind of poetry it contained. It had Kipling. I thought I was in like Dave in an emergency airlock in 2001. I mean, if I wrote a poem and it turned out any good. So in spite of my recognition of my recent non-successes, I was determined, and I discovered a gap between determination and doing something. Probably the same gap between inspiration and doing something: laziness or disbelief in an effort resulting in the desired result. Still, I started carving out a half hour every morning. I’d drop my children at school and duck into the local coffee shop to work. I fully expected nothing more to come of it than coffee drinking. Did I mention paralysis in self-doubt? It wasn’t so much paralysis as actively working against myself. I started out with a laptop so I could do a side-by-side comparison of “Tommy” and what I was putting down, but I quickly switched to a printed copy of “Tommy” and a legal pad. I was dismayed to find out the poem was in iambic heptameter; to someone seasoned in sonnets and iambic pentameter, that seemed a little syllablely, but over the course of four weeks, I managed to eke something out. And then when all the lines and syllables were filled, I reached the next Hamlet moment: How much do I tweak it? Should I share it with science-fiction savvy Internet connections to see if it works? It was Hamlet and J. Alfred Prufrock time. Could my darker side dither long enough for the submission period to close while I was tweaking and transposing stresses? Finally, one Saturday morning, I just emailed it in a moment of “What’s the worst that could happen?” By Saturday night, it was accepted. Today, There Will Be War Volume X was released in a Kindle version. I understand there is to be a hardcover version next year. I wondered if the editors would recognize the source material; I expected Dr. Pournelle would, but I didn’t know if he was on the selection committee. Apparently, the source was recognized, as it is included in the introduction to the piece. At any rate, how about that? Maybe there’s some hope for me as a writer yet if I just put my back into it. You know, there was a time when I might have made fun of a collection of poetry like that contained in this book. Probably a time when I was younger and more cocksure, a bit arrogant, and impatient with the mediocre in life. I was destined for greatness, and anything less than greatness was worth mocking. That’s what youth does, and growing older gives us a little better perspective on life and the pursuit of greatness. So I’m not going to mock this book. The poems within it are not bad poems. I’ve read bad poems. These are merely common. They have end rhymes and a decent sense of rhythm. The subjects are domestic and landscapish and Christian, with a couple of little ditties about people she knows thrown in. She’s got a couple little poems about her children growing up or having grown up from being little babies. She writes about the landscape of Arkansas, her native state. It’s the sort of thing you see a lot of in small writing groups and clubs. 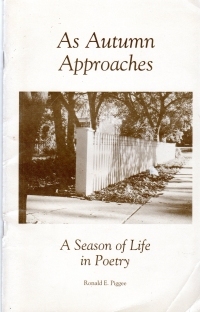 The poems span a number of decades; the book was prepared and maybe published by the pastor of her church ahead of her 92nd birthday in 1980. This volume was inscribed as a gift in 1984. So that’s what it’s circa. But it represents a woman of the ninteenth century, probably with limited schooling, writing poems for most of her life and not doing badly at it. So I’m going to appreciate that for what it is. She was reaching higher and giving it her effort, and her goals might not have been more lofty than having something to show her friends and family. And here it is. I’m a little behind in reading my National Review magazines, and I’m just now getting into the February 23 issue. The magazine mentions the passing of Rod McKuen. The New York Times obit is here. Strangely, I didn’t see anything on blogs, social media, or in the news in January. Unlike the death of Roscoe P. Coltrane, of which I heard all day yesterday. I’ve read a lot of McKuen over the last ten years (see), and I’ve not always enjoyed the poetry or the record albums, but I’m saddened that he’s no longer part of this world. Interspersed among my other reading, I’ve been working on this book for a little bit. It’s a collection of poems by Charles Baudelaire, but they’re end-rhymed, so the translator had a heavy hand in the actual English of the poems which probably means they’re almost as much his work as Baudelaire’s. Because poems have so much nuance, rhythm, and flow that rely on word selection, you have two choices when translating: You can go with the literal translation, which will chop most of the mouthfeel of the original poem out, or you can try to put the poem in the target language with as much of the flavor of the original as possible but still ending up with something of the original in it. I think this translation, as demonstrated by the end lines, did more of the latter. Now, about the poems: Oh, my. On one hand, these are the poems I wanted to write when I was twenty years old. Vivid, evocative, concrete, and meaningful (and full of end rhymes). You’re in the moment with the poet narrator in a way that overshadows a lot of poetry in English that I’ve read. The topics are full of love, lust, and pondering mortality. 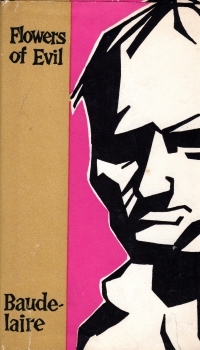 The introduction explains a bit of Baudelaire’s bio and explains his obsession with a particular woman, and it comes through in the poems as the poet-narrator fixates on a woman and the poems describe a love/lust/hate relationship with a woman. And the poet-narrator muses on death and the ultimate meaninglessness of love when confronted by death. It’s pretty powerful stuff. And vivid in a sometimes squicky way. There’s a poem called “Carrion” which is about the poet-narrator and his love out for a walk when they come across a dead animal, and the poet-narrator describes it in great detail as it breaks down and then says something about the breakdown of the flesh and how the woman will be food for worms soon. And then there’s a poem about necrophilia. But only one. It’s good poetry qua, but some of the topic matter is a bit objectionable. 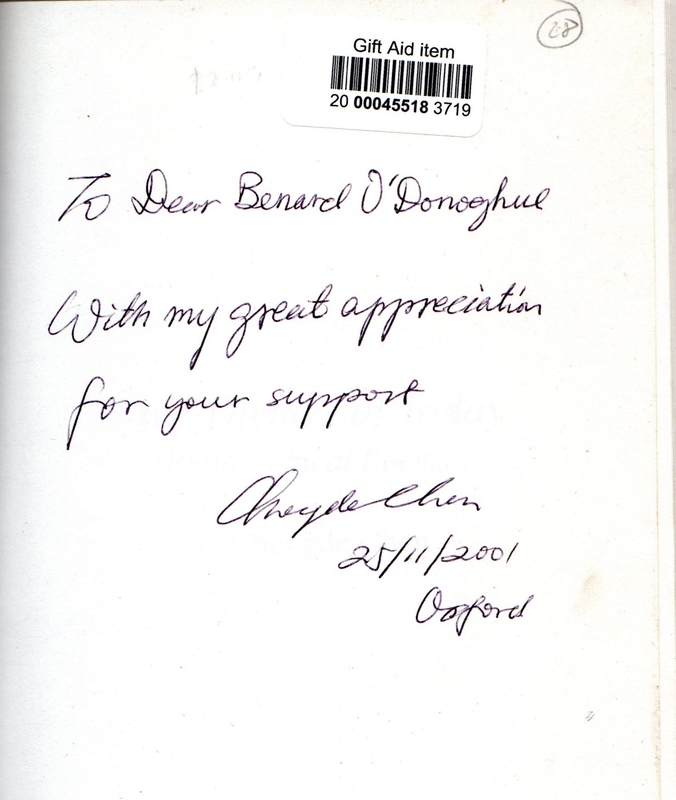 This book features an inscription, To Michael, with love and a Merry Christmas, Ellen 1966. Frankly, I’m not sure what sort of message you’re sending if you’re giving this book to a lover. Also, Phil offers to read Baudelaire to Rita in the film Groundhog Day; suddenly, this changes the meaning of the film for me forever. 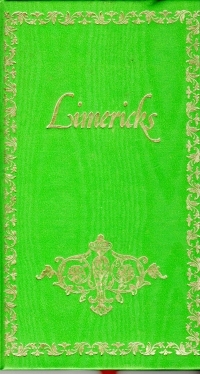 This book is just what it says: A collection of limericks, the five line poem type. After the main course of Lear, we get 28 limericks from Punch magazine and then 20 other limericks. These last 48 are in the contemporary form with a little more punchline to the last line, but none of them stuck with me or inspired me to memorize them and tell them to others. I’m not really consumed with the urge to try out the form, either. So skip this book unless you’re a real scholar on poetry forms or want something to browse through during football games and don’t mind re-reading the same limerick a couple of times because you’d forgotten you’d read it before third down. This book is a chapbook written by a Vietnam veteran, a black father in Nebraska in 1993. The poetry within ranges through a bunch of different styles, including free verse and at least one villanelle. It’s better than a lot of chapbooks I’ve read. The book led me to some personal musings, though. In 1993, my father was two years away from dying from cancer; he was a Vietnam-era veteran who served in Okinawa instead of Vietnam (and I think he felt a little guilty about it). It’s hard for me to imagine him writing poetry, but that was not his way. He was a hands guy: his creative hobby of the time period was building elaborate ship models that required him to tie nautical knots in thread using a magnifying glass and tweezers. Crazy that a book of poems about growing older would make me think about my father, how he didn’t grow older, and how I will not long be older than he ever was. Or maybe not so crazy, since that’s what poetry does. So consider that an endorsement of this book: It was definitely evocative. 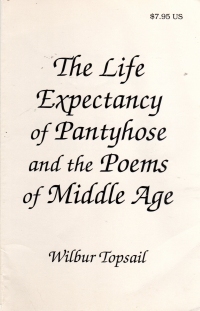 This book is not the first in this series of grouped short poetry anthologies I’ve read; in 2007, I read Poems of Flowers and Poems of Friendship shortly after finding them at an Old Trees estate sale. I picked up the current volume at a thrift store about a week ago. I like these slim little anthologies that I read them quickly. 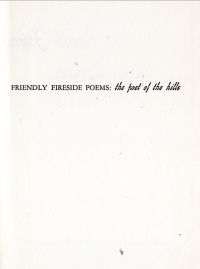 As with the other volumes, this slim (65) page volume collects mostly public domain poems on a theme. 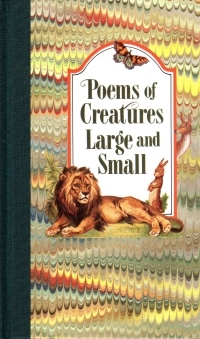 This time, it’s animals, so all of the poems are about animals (Tiger, tiger, burning bright? It’s in there.). 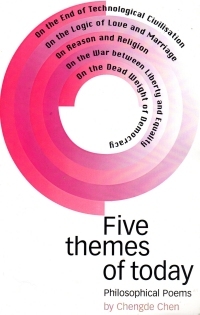 As always, the poems vary in style and, honestly, quality, but it does offer a bit of a buffet approach to a number of styles and poets from Whitman to Wordsworth to a lot of Bret Harte. I know, I know, Don’t you have an English degree? Shouldn’t you be reading Real Volumes of Poetry? Oh, but no. I’m currently into my third decade of trying to read the complete works of Emily Dickinson, friends, and I’m here to tell you that poetry is supposed to delight and entertain. It’s supposed to be deep pop music. Pleasing to the ear and conveying deep meaning. Like so much art, it got corrupted by critics and poetasters so that too much of it is either too ponderous to be appreciated by normal people or just twee without any deeper resonance. Give me a K-Tel collection of poems like this any day over the complete works of Wallace Stevens. I liked this collection so much that I’m considering looking into how many Gail Harvey edited in this series and seeking out the others. Fortunately, the intersection of my laziness and otherwise busy day will intercede and prevent me from adding any more to my sagging shelves other than the upcoming autumn book sales and occasional trip to the thrift store.